C# 6.0 has a lot of great new features, which save developer’s time and make code more clean and short. 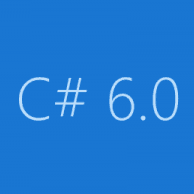 At the conclusion of the C# 6.0 series let’s go through the whole list of the new C# 6.0 features again (all titles are active). Each article contains detailed explanation of the particular feature with resulted IL code and “old-school” way of doing the same things.